As you learn how to dial up your compliance factor, you will enhance your ability to follow guidelines to keep you on track, organized, and form cooperative relationships. We have come up with several steps that will help you work towards dialing up your compliance factor. These steps come both at the immediate and secondary level. Both are equally important and require the same amount of attention and care. Write down everything you need to get done; you might do this just for the day or for the entire month. After you write down what you need to do, prioritize it from the most important, to the least important. After organizing by priority, organize your list by how long it will take. If you group tasks together that are due around the same time and you put easy, short tasks first, you may not have enough time or stamina to get the longer tasks done. If you prioritize your task, you make it easier to stay organized and accurate. It also helps to add an incentive to finishing tasks on time. For example, a family could use the incentive of going to get ice cream if they finish the yard work on time. This helps motivate each individual in the family to stick to the group’s priority. You need to find a method that works for you. You may want to speed through the quick tasks and take your time with the longer ones, or you may choose to get the long, cumbersome tasks done first and then breeze through the quicker ones. No matter how you choose, the most important tasks must be completed. Plan your day out and schedule when you will be completing tasks. This will ensure that you do not forget anything and that you plan enough time for everything. This way, at any time during the day, you will know exactly what you should be doing and how long it will take. You’ll find that there is no reason to get anxious or worried that you’ll get things done or remember to do them when you have everything planned out and organized. Our minds need structure to function more effectively. No structure is the same for everyone, however. You need to find an organization style that works for you and that is adaptable to your approach. An efficient way of structuring tasks during the day is called chunking. Chunking is when you organize tasks of the same nature together so that you can complete them more efficiently. For example, if a salesperson has to contact prospective clients and existing clients and make two sales calls during the day, it would be more efficient for the salesperson to do all of their communication at one time, then make their sales calls rather than spacing them out. In this way, the salesperson practices good time management. To be sure you are following the rules correctly when appropriate and do things the way they ought to be done, check and read up on the guidelines. You may be starting a new project and not move forward correctly or finish the project correctly because you did not read the rules and know exactly what you should be doing. Understanding what you need to do will give you a path to follow that can help you accomplish your work in an effective, competent manner. Your potential for effectiveness is only as high or low as you set the standards appropriate for the return on the investment of your time, energy, and resources. Let’s first look at the obvious – dealing with high standards. If you want to exceed expectations at work, set your personal expectations higher. If you work toward an elevated goal, you are much more likely to achieve more, even if you do not reach that goal. Let’s look at the story of the Formula for Success. A former president of the General Motors Corporation started out as a stock boy and had a career that was the epitome of the American dream. At the time of his retirement, a reporter asked him whether it was still possible for a young man nowadays to start at the bottom and get to the top and if so, how? “Indeed, it is” was his answer. “The sad fact, however, is that so few young people realize it.” Then he outlined a formula for success that will prove out not only in the auto industry but in any business. This example of setting high standards for yourself and your work is important to remember when it is appropriate to have high-quality standards. There are times when high-quality standards are not required, but they can be few and far between. Completing a project to the best of your ability is always a good rule to live and work by. It is especially important to set higher quality standards for yourself to assist with the way that your subconscious mind works. When you give your subconscious instructions, it will consider them and give you ideas to help you reach those expectations. If you combine the ability to talk to your subconscious with positive self-talk, you will continuously improve the results you get in your life. High-quality standards are not the only standards that are appropriate. Low quality is sometimes not only necessary but wanted as well. An example of this can be found when a deadline is moved up and a starting point is needed for the project. The first drafts of a project don’t always need to be high quality and when the time is of the essence, high-quality is not efficient. I know that when I need a starting point quickly, I don’t want my team wasting time trying to get it perfect when it will be changed anyway. Understanding when the appropriate quality standard is needed will help you dial up your compliance to ensure the best possibility of success. The RA2 Document is one of the most effective ways to dial up your compliance factor. Having the document in front of you and examining it often will likely bolster that compliance factor up in a matter of minutes. The reason is the design. From the table, you can determine the responsibility, the accountability metrics, and the authority parameters you have been given in a simple glance. Knowing these, you will automatically dial up your compliance to meet those standards. The RA2 Document can dial up the compliance in your team as well. Because it is visible to everyone, especially the boss during performance reviews, there is more trust from both parties on what needs accomplishing. With more trust and visible standards, your work, along with other team members, is likely to improve dramatically. Visit the RA2 Interface Alignment Course to learn the benefits and methodology for using RA2 Documents. After you complete the immediate steps to help dial up your compliance, some secondary steps can also be helpful. These steps require a significant amount of practice but can be invaluable when you learn how to properly use them in your life situations. When your organization presents a new opportunity for a project, volunteer for it and take it on. To finish it on time, plan it out and organize it in a logical manner. Planning and organizing a project takes accuracy and organizational skill, which will automatically dial up your compliance. Albert Einstein said, If I am given sixty minutes to complete a task, I would take fifty-five minutes to figure out the problem and five minutes to come up with a solution. Identifying the problem is the first place that you need to start when you handle a project. Learn more about it in the Decision Making Course in the session entitled Identify the Problem. You may choose to prioritize the tasks and steps involved in the project and its structure. The more you plan, the more manageable the project will be for you. Try to follow the Rational Decision-Making Process to ensure appropriate logic is in place before the actual implementation of the action plan. When you take on a project with a team, you may need to be the one to pay attention to the guidelines surrounding it. While others are brainstorming and thinking of ideas, you may have to be the person to point out that some ideas are not possible because of the guidelines or rules. If you do this when it is appropriate, then you will be tapping your accuracy and dialing up your compliance. Just remember that you’re not raining on their parade; you are keeping the team grounded and remembering the boundaries. Otherwise, the team could finish the project and then have to start all over because they overlooked major rules that made their finished project unusable. Third, Ask a Manager, subject-matter expert, or leader to check your work and to give you explicit feedback. After completing a project or task, ask someone qualified to look over your work to give you feedback. So you can do better next time. You will want to follow the rules and make sure that you did your work correctly. This will give you the chance to get specific feedback about your work. Doing this will improve your accuracy and improve your chances of improvement on future tasks. The final secondary step is to Refer Back to the Instructions or the guidelines. This may seem rudimentary, but it is something to remember when you want to dial up your compliance. Remembering the structure and guidelines of a project can help you dial up your compliance by keeping you accountable to sticking to the plan and not deviating from it. When it is appropriate this may help your productivity as well as your compliance. Keeping a copy of the guidelines of a project nearby can help remind you to stay on track. Especially if you find yourself trying to go outside the rules. If your goal is to dial up your compliance factor to the optimum level, make sure you complete the activities in the activity section. In some situations, it’s necessary to know how to dial up your Compliance factor. This may be the case while working on a team or working individually. 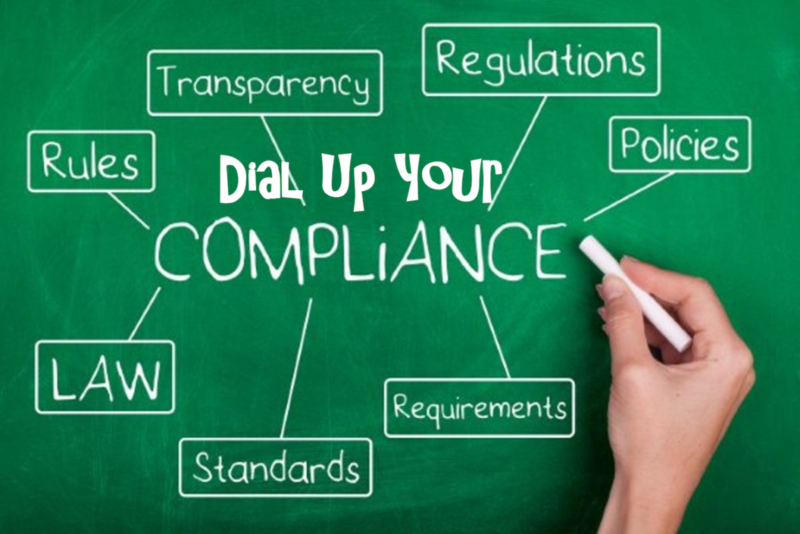 Knowing how to dial up your compliance factor is a skill that is necessary to be successful. The compliance factor is the behavioral link to accuracy, cooperativeness, and consistently meeting accountability metrics. Being able to follow guidelines, whether in your work tasks or in personal relationships, will help you learn the expectations of everyone involved and allow you to meet the appropriate standards. It is important to understand that the appropriate standards may not be high quality. For example, management may need a starting point for a project as soon as possible and they don’t care about typos or inaccuracies since they just want it as a starting point. This may seem counter-intuitive to dialing up your Compliance factor, but it is important to remember that your standards are not always the standards needed. Observe team sports if you want to see the benefits of dialing up the compliance factor. Following the rules, so the umpire or referee does not penalize the player is important. However, there are times in life, as in sports, where following the rules to the letter can keep a team or yourself from achieving success. Understanding the situation you are in is crucial to making the decision on whether or not it is appropriate to follow the rules to the letter. For example, in 2005 during an NCAA college football game between the University of Southern California and Notre Dame, the USC running back Reggie Bush helped his quarterback score a last-second touchdown by pushing him into the end zone. The unusual play solidified USC’s victory and preserved their number one national ranking. According to NCAA rules, helping or aiding a runner is prohibited. However, it is rarely enforced and happens all the time. A corporate example can be found in information sharing. The corporate policy calls for companies to be transparent and report all information to shareholders, though this doesn’t always happen. Does this make it right? No, but that is how some situations in life are, and understanding that can help you be prepared and be more successful. The compliance factor also builds relationships between the different team members based on guidelines for dealing with situations and building team unity. Living one day at a time; Enjoying one moment at a time; Accepting hardships as the pathway to peace. Even culturally, we complacently agree to customs and traditions, some of which we take part of unconsciously. We all obey social expectations, complying with the demands we put on each other. Even though this, different countries and cultures agree to diverse sets of behaviors and mannerisms. For instance, the American sign for victory is actually an insult when the palm faces into a person in Britain. That sign in Britain means, well, suffice it to say, it is not a pleasant symbol. More than just gestures, culture influences our very conduct and thought patterns. This is due to our natural adaption to the compliance factor and its usefulness in our life. Caveat on Compliance: It is important to understand that the compliance factor should not be used as a hammer. An individual with an elevated compliance factor is typically exacting, precise, accurate, and a perfectionist. While these traits are very useful, when taken to the extreme they can become extremely damaging and counter-productive. A person with a high dominance factor should be very careful when dialing up their compliance because an elevation in both factors can be extremely detrimental to them relationally and for an organization. An example of both dominance and compliance being elevated can be found in Herbert Hoover at the beginning of the Great Depression. Hoover’s stance on the economy was that public-private cooperation was the way to achieve high long-term growth. He thought that too much intervention or coercion by the government would hurt individuality and self-reliance, which he considered important American values. He rejected Treasury Secretary Andrew Mellon’s ‘leave-it-alone’ approach at the outset of the Depression because Hoover wanted business leaders to not lay off workers or cut wages. His pro-labor policy after the 1929 stock market crash is purported to account for close to two-thirds of the drop in the nation’s gross domestic product over the two years that followed. His combination of dominance and compliance was one of the main reasons why what might have been a bad recession, turned into the Great Depression. Be cautious that you don’t use compliance as a hammer to drive home the rules and your own agenda. I hope you have enjoyed the steps on how to dial up your compliance factor. Be sure to incorporate each of the four primary factors into your life as the situation warrants. Behavioral flexibility is the key to your success.